This is such a fun and cute bundle. I wanted to do a card with some nontraditional Christmas colors, so I went with Flirty Flamingo and Lemon Lime Twist as my base colors and added in Smoky Slate. 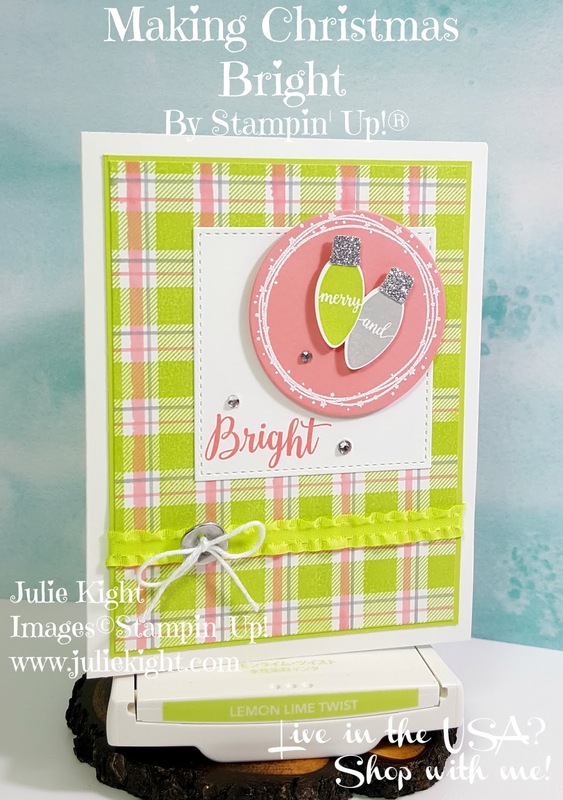 I first stamped the Buffalo Check stamp onto the card base. Then I took the Blends and made various lines on top of the check. I loved what I came up with. I used the colors for the bulbs as well. I embossed the ring around them and popped the whole circle up. 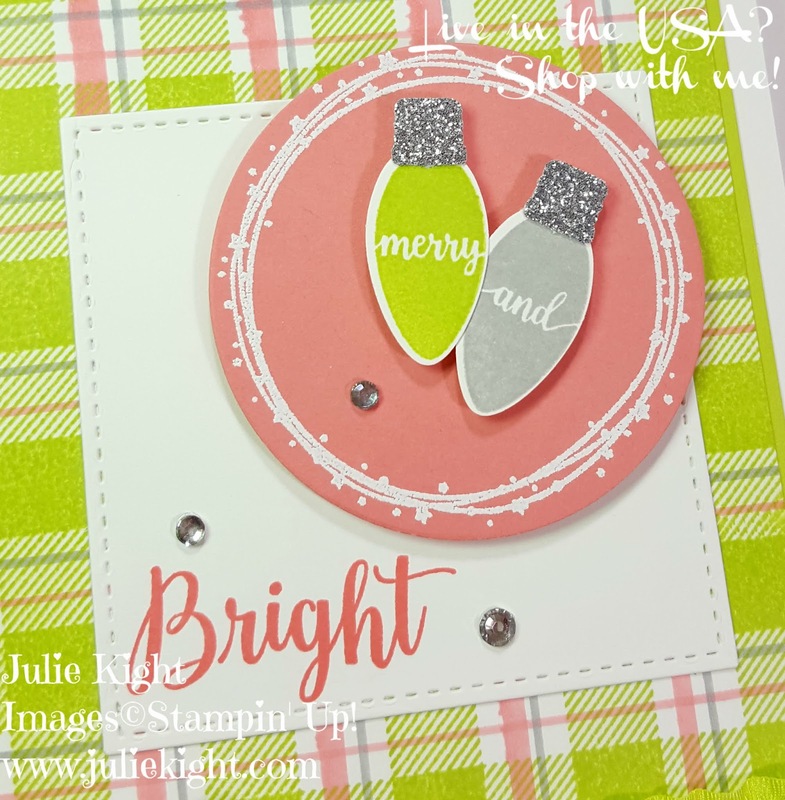 I used the Silver Glimmer paper as each of the bases to add some extra sparkle to the page. 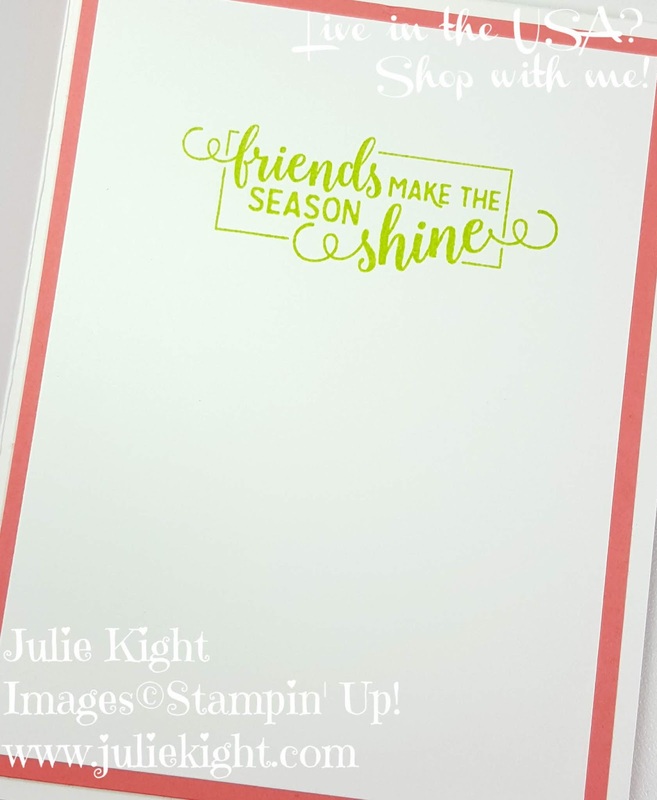 I stamped the inside as well and matted the Whisper White cardstock onto a piece of Flirty Flamingo to break up all the white on the inside. 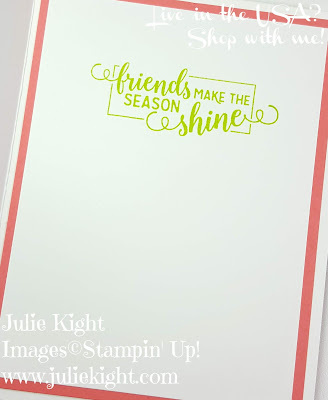 Plus, for an added bonus, is makes the card feel more expensive and they will definitely question is you bought or made it. Thank you so much for coming today. Come back tomorrow for Day 6 of my 12 Days of Christmas. I will be doing my Facebook Live today, though I may be an hour late as I am going to my daughter-in-law's ultrasound to find out the gender of my 1st grandchild! I'm over the moon excited! The one problem is I have to keep it a secret until they do their gender revel later in the month. Thanks again and have a great day everyone!